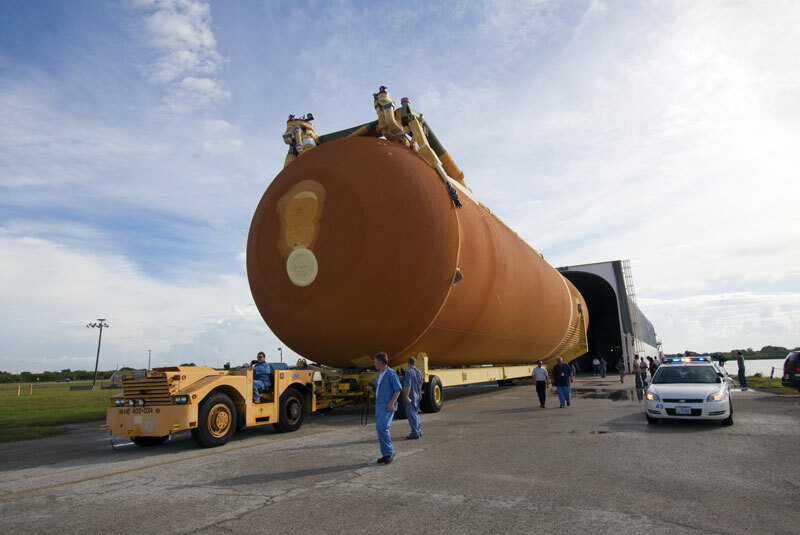 — The last of the orange-brown external tanks used to fuel the space shuttle arrived at NASA's Kennedy Space Center in Florida this week in preparation for the final planned mission of the nearly-30 year shuttle program. 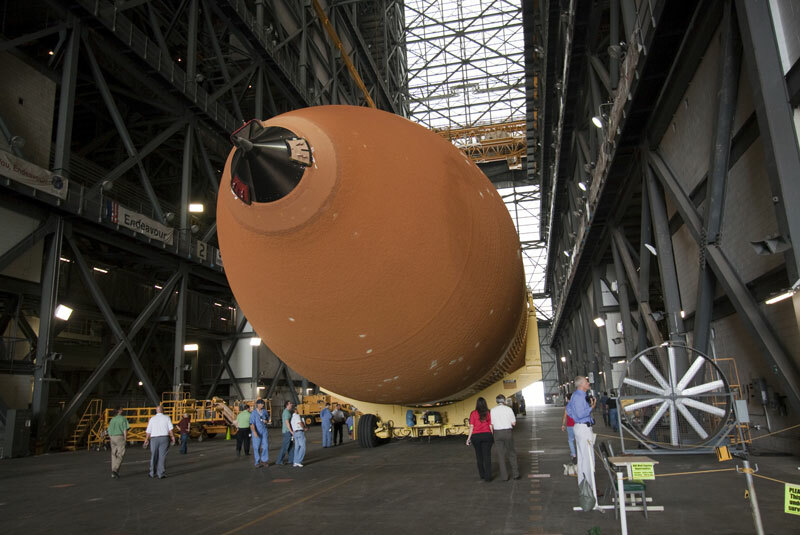 Designated ET-122, the tank was originally slated for contingency use after being damaged during Hurricane Katrina in 2005. 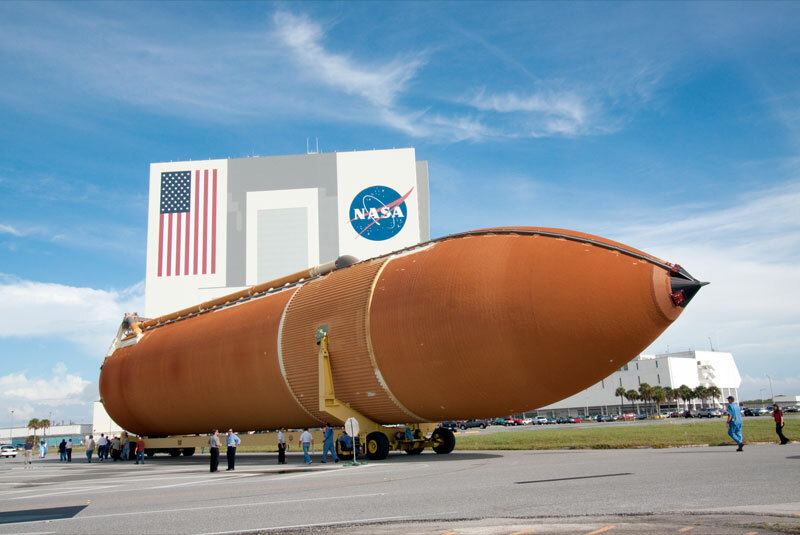 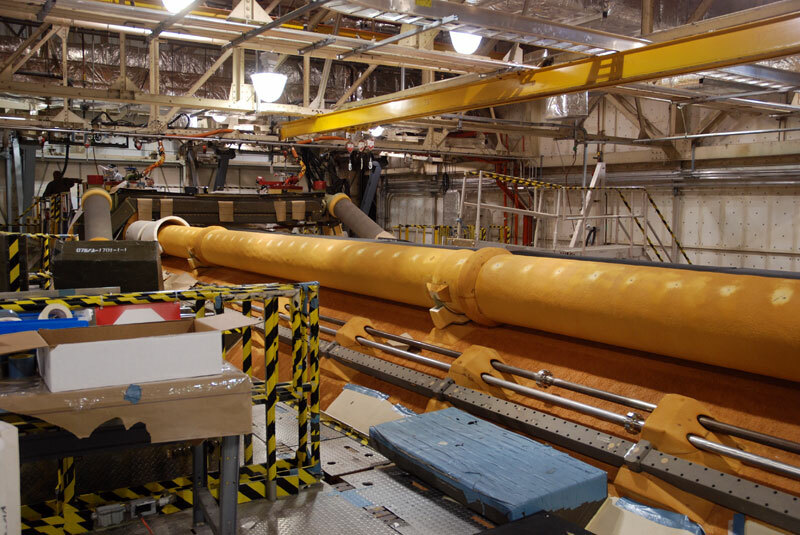 The 154-foot-long tank was restored by Lockheed Martin at NASA's Michoud Assembly Facility in New Orleans. 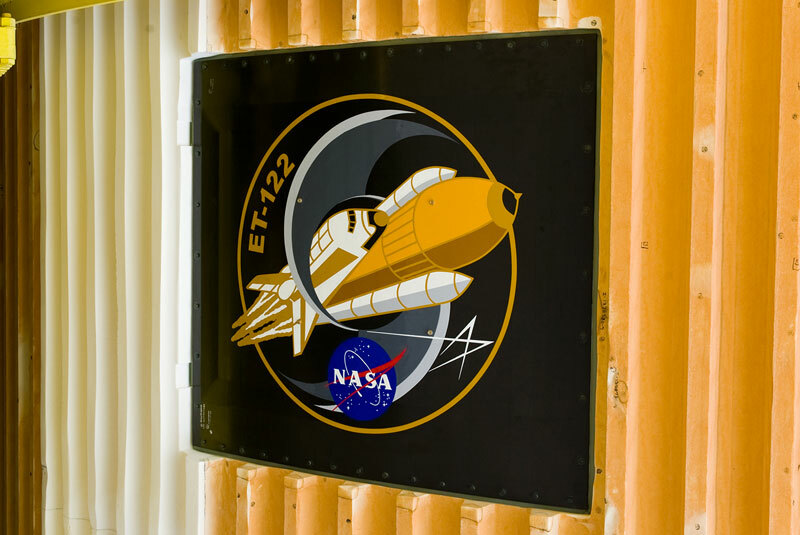 and, protecting for the possibility of another shuttle mission being added, traded places with ET-138 to fly with orbiter Endeavour on the STS-134 mission. 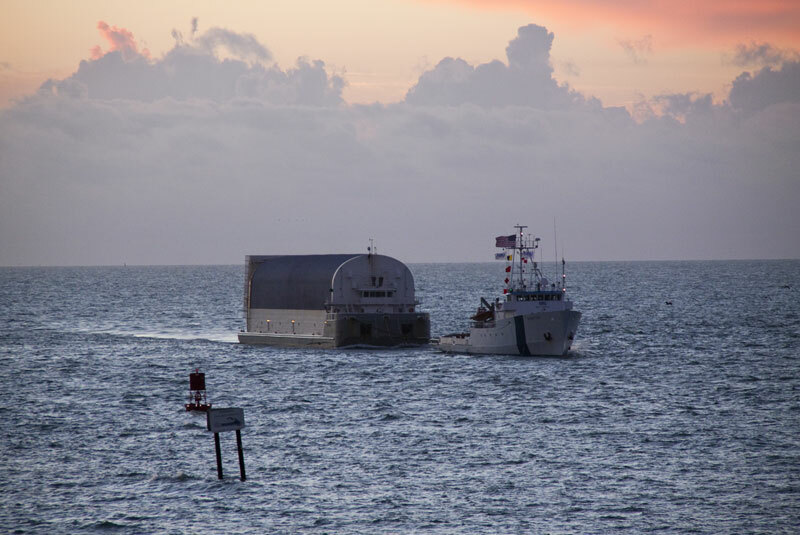 ET-122 arrived at Kennedy on Sept. 27 following a 900-mile, six-day sea journey. 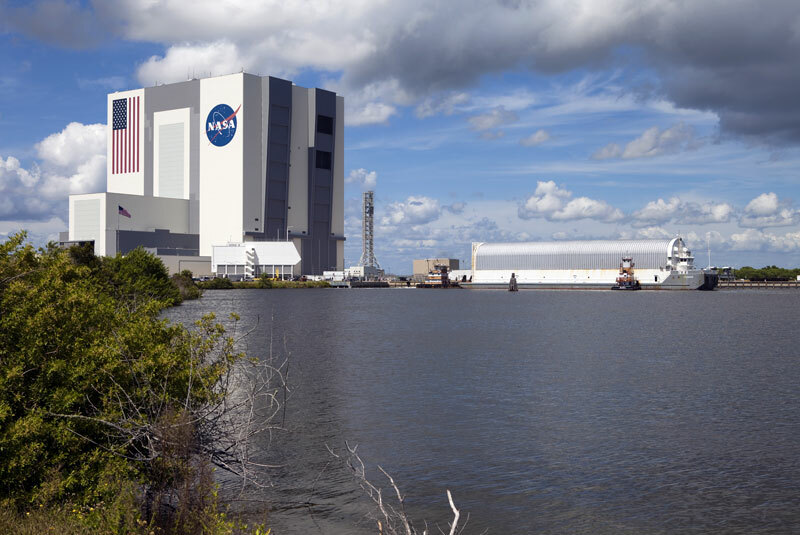 On Tuesday morning, it was taken off its transport barge, Pegasus, and rolled into the Vehicle Assembly Building where it's to be lifted into a high bay checkout cell to await being attached to Endeavour. 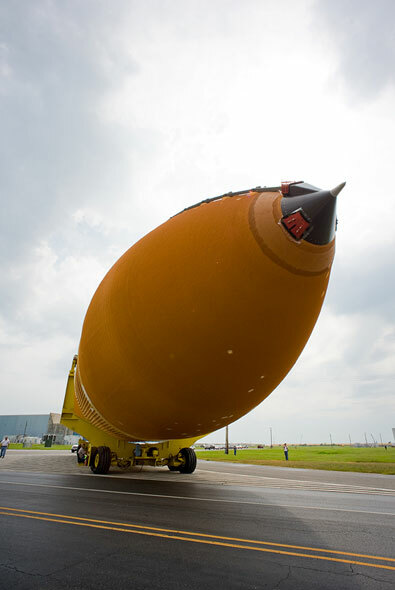 Targeted for liftoff in late February 2011, STS-134 is currently planned as the last mission for the shuttle. 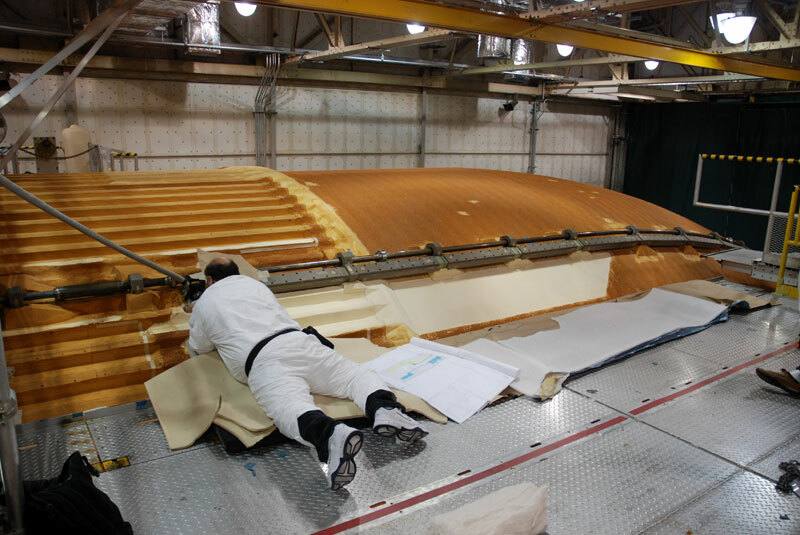 In addition to three tanks built for testing, ET-122 is the 136th tank produced by Lockheed Martin (formerly Martin Marietta) since 1977. 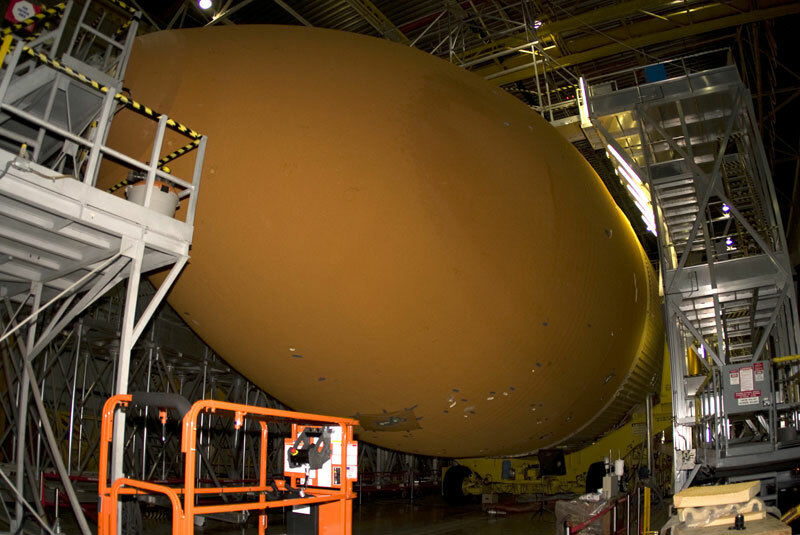 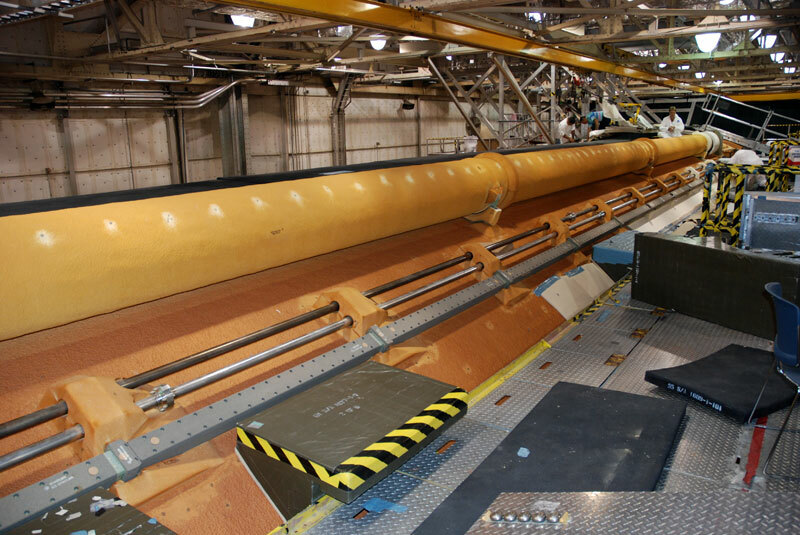 External Tank-122 (ET-122) undergoes final preparations in the Test and Checkout Building at the Michoud Assembly Facility in New Orleans. 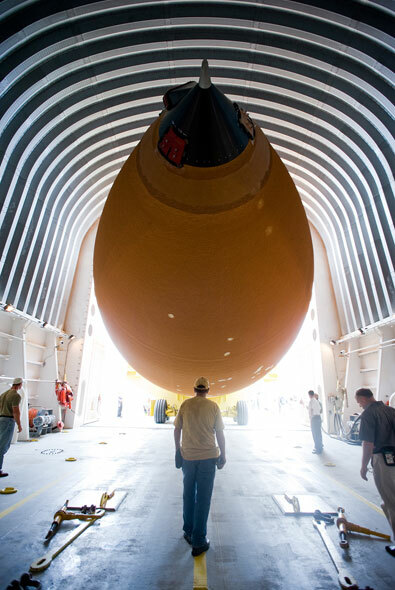 John DesForges (above, right), ET-122 project manager (aka "missile mother"), designed a special logo for the tank representing its recovery after Hurricane Katrina. 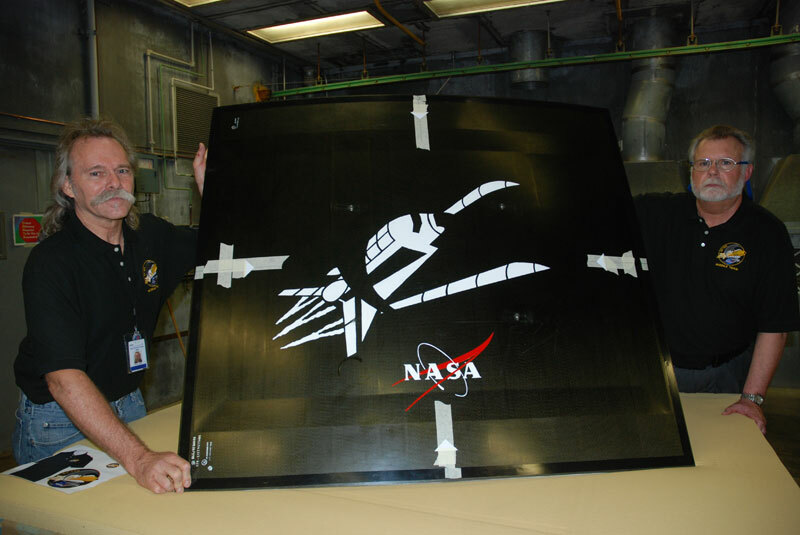 The logo was added to the intertank access door by Lockheed Martin artist Jon Irving. 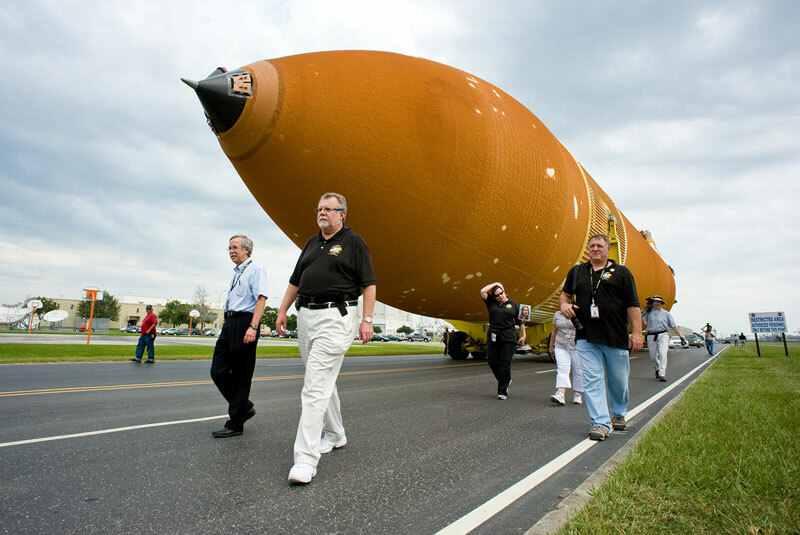 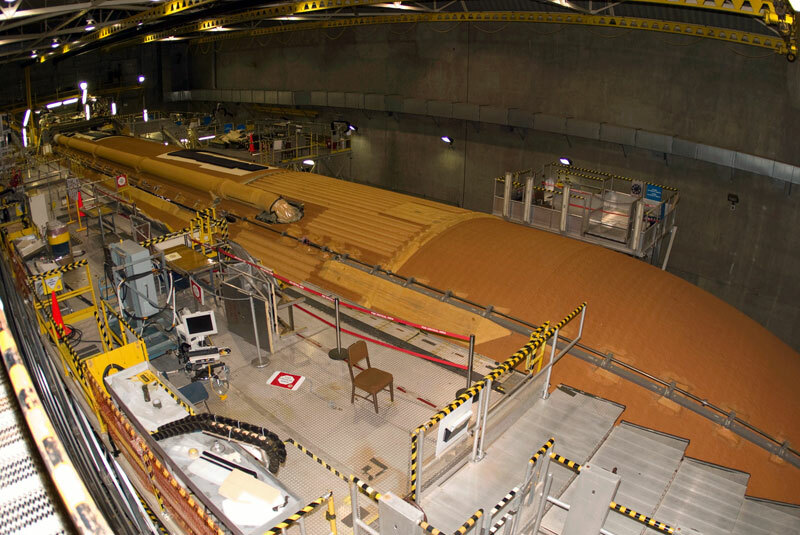 ET-122 project manager John DesForges leads the rollout for "his" tank on Sept. 20, 2010 to Michoud's dock and the waiting Pegasus barge that will take it to Kennedy Space Center. 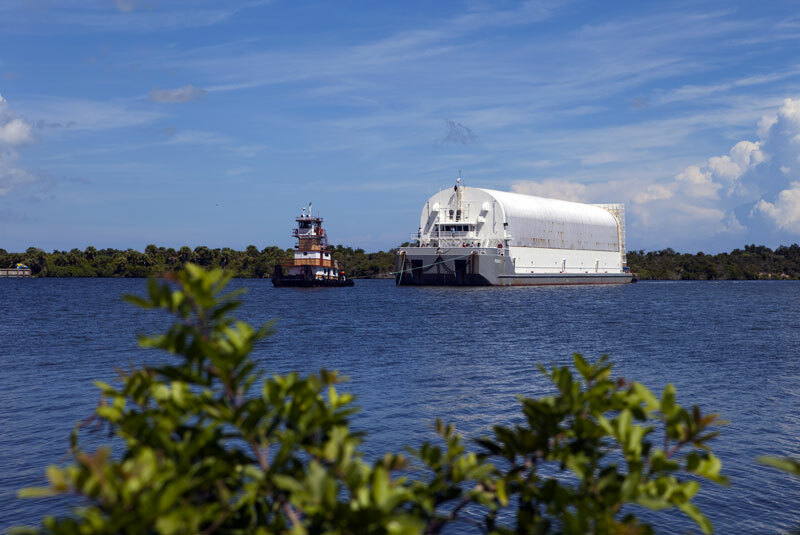 The Pegasus barge, with the 154-foot long ET-122 inside, arrives at Kennedy Space Center on Sept. 27, 2010, after a 900-mile, six-day journey from the Michoud Assembly Facility in New Orleans.